William Contreras, top prospect in the Braves system, talks about growing up in Venezuela, his All-Star brother, and his big league dreams. William Contreras knew he just needed a home run. 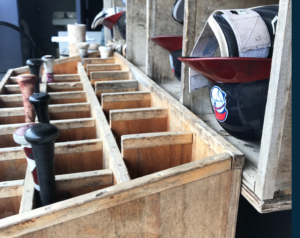 He was in the midst of one of his best offensive performances of the season with the Rome Braves and one swing away from the first cycle of his career. Off the bat, the entire press box thought he did it. He barreled up a fastball off the Fireflies’ Conner O’Neil and sent it all the way to the warning track. Left fielder Matt Winaker tried to track it down, but it dropped just inches from the wall, scoring two and giving the Braves a 14-5 lead. He’d have to settle for ending his night with an RBI double, after going 4-for-5. “I thought I hit the homer,” He admits after the game. “Next time, next time…” He sighs, looking out over the left field wall. William was only seventeen years old when he was signed as an international free agent out of Venezuela. 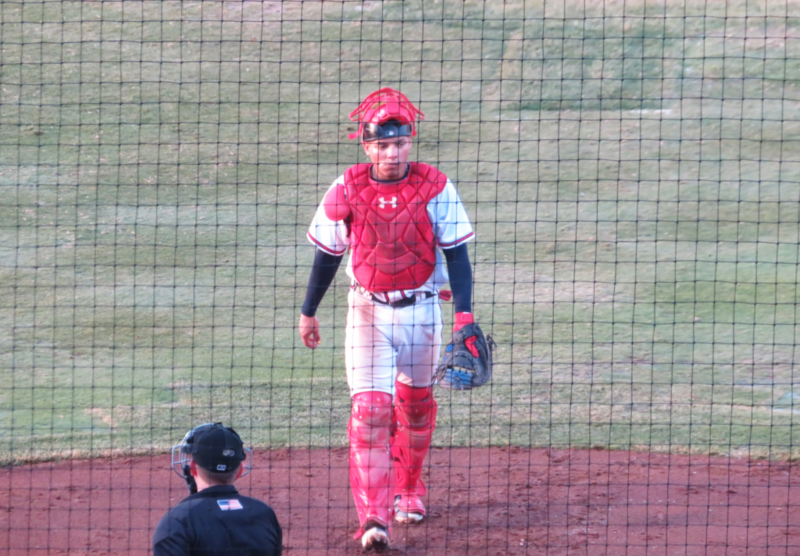 He’s since developed into the Braves top catching prospect and the #12 prospect overall in a deep farm system. His brother, Chicago Cubs catcher Willson Contreras, was in his seventh year in the minors when the Braves acquired William, for a signing bonus of only $10,000. “When I started to play baseball, I was only three years old. We were always baseball fans, and both my brothers always played,” He says, sitting in the dugout two hours before first pitch at State Mutual Stadium. He’s referring to Willson and Willmer, both older than him. They grew up in Puerto Cabello, a coastal city in the state of Carabobo. “It’s small, very small, but it is a good city,” He says, a faint smile on his face. Puerto Cabello was once a vital part of a thriving petroleum industry, but port traffic has disappeared since the price of oil collapsed. It’s understandable that William would be worried, Wilson Ramos was kidnapped at gunpoint in 2011. So was the mother of Elias Diaz just this past February. Both were thankfully rescued. At the beginning of the season, Willson told the Sun Times that he called and texted his family after every single game to make sure they were safe. The Ramos incident, he said, occurred close to their home. He may only be twenty, but Contreras talks like a veteran when he explains his approach to catching and the attention he pays to the details of the position that sometimes elude even the most experienced backstops. “For example, you have to have good relationships and good communication with the umpires. They can help you with some pitches, when you’re catching and when you’re batting,” He says, when asked about one of the underappreciated skills that great catchers need to have. As batting practice winds down, we talk about some of the big leaguers that he admires. His dream batterymate is Julio Teherán. He really wants to try to hit a homer off Jon Lester. His favorite catchers are Salvador Perez and, of course, his brother. “My brother, he is one of the best catchers in the major leagues,” He says, with a strong sense of pride. Willson has been his younger brother’s biggest champion and an invaluable support system. The two of them share a lot: the ability to hold runners on base, above-average offensive pop, and now, nicknames. Willson’s known as The Killer to his Cubs teammates, and William? He’s Mini-Killer…for the time being. “My brother is better now,” He says. I ask him if he thinks that will be true in a few years. He just smirks.